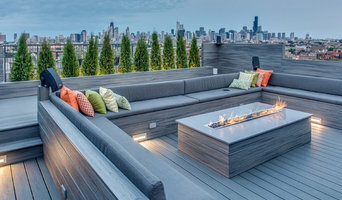 Chicago's Client Focused Landscape Contractors - Best of Houzz! London Stoneworks provides a high level of craftsmanship, specializing in natural stone installations such as patios, walkways, entryways, outdoor kitchens and garden walls. We can design and install the project to best suit your style, needs and budget. Already have a design in mind? We will work with you to achieve your goal. London Stoneworks also collaborates with several local architects and garden designers. 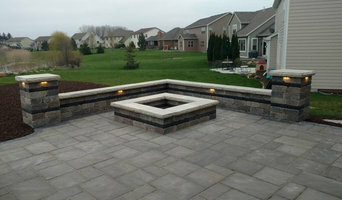 We focus on high quality, custom residential work with an emphasis on hardscape and construction. Owner, Roger Essex, has 22 years of experience in the design and build industry. Roger obtained a degree in Landscape Construction at Merrist Wood College in Surrey, England. During that time, he constructed two award-winning gardens at the Chelsea Flower Show. The next four years were spent in London, working for a major landscape construction firm. 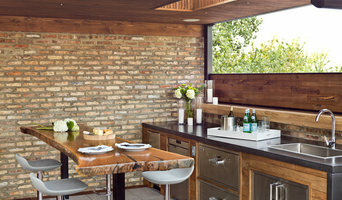 For the past 15 years, Roger has been beautifying the Chicago area with quality stonework. 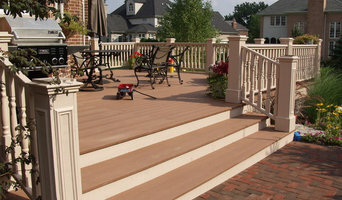 Cityscape Landscape began in 1984 as a landscape company serving the greater Chicagoland area. We are still family owned and operated. We have completed projects for Chicago's homeowners, property managers, and builders ranging from $1000 to $900,000 in dozens of Chicago neighborhoods. Cityscape continues to operate today much the same as it did in 1984 stressing service to our clients. We have the experience, motivated staff, and equipment to handle your landscape needs. Stone Worthy specializes in artisan-quality, custom hardscapes, and natural stone masonry. We offer one of a kind indoor and outdoor living spaces with acute attention to detail that consistently surpasses our clients' expectations. Our team works with architects, builders, general contractors, and suppliers to ensure that projects are finished on schedule and within budget. We encourage you to visit our showroom (by appointment) to discuss your project needs with our dedicated staff. We love to discuss all quotes and answer any questions you might have, but most importantly, give you the full, undivided attention you deserve. Stone Worthy is licensed, bonded, and insured. Greenwise Organic Lawn Care and Landscape Design opened its doors in the Evanston community in 2007 and has since established our reputation as the leading sustainable landscape company in the greater Chicago area. Greenwise believes in beautiful landscapes that sustain you as well as the life around you. Your landscape is an opportunity for you to enjoy the natural world, relax, and find sanctuary. Your garden can be your solitude, your entertainment, and your connection to the vibrancy of life. This means that a quality landscape should not come at the expense of your health, but contribute to it. A high-quality landscape does not pollute the environment, it supports clean water, soil, and air. Greenwise provides exceptional landscaping services, and we create landscapes that improve the environment and are safe for you and your family to enjoy year round. Toxic landscape practices are outdated and overprescribed. Our goal is to lead the landscape industry into an era where sustainable practices are a priority. Our experienced and professional team of landscape architects, designers and horticulturists is dedicated to creating a better way to manage your outdoor environment. Additionally, our maintenance services can be customized so that your landscape is cared for exactly the way that you like it. We are at your service and happy to help you achieve your goals. Exterra Designs has 18 years of experience providing Landscape Architectural and Construction Services in the Chicagoland metro area. Our responsiveness, creativity and quality are our focus as we do what we do best…Creating Exterior Environments. We specialize in creating outdoor rooms that incorporate stone or brick patios, Kitchenettes, fireplaces /fire pits, seatwalls, pergolas and gardens for residential properties. Our designs reflect our client’s needs and desired style while integrating the architecture of the home to blend with the newly designed landscape features. Our key focus with this process is to balance the client’s intention with real value options that are in line with their anticipated budgets. Working with you, committed to your project, we will help you make good decisions about the investment you are making in your property and your leisure time. Contact us today and let us help you transform your outdoor space into a place of natural beauty. Over the past 25 years J.B. Brickworks has designed, managed, and installed over 3500 projects in Illinois, Wisconsin, and Michigan. Building a reputation on quality construction methods, detailed craftsmanship, and unsurpassed service, J.B. Brickworks has been the preferred Hardscape Contractor for many discerning Architects, Builders, Landscape Firms, and homeowners. Our staff consists of knowledgeable, skilled, and detailed individuals that will insure your project is completed on-time, on-budget, without compromise. The difference is in the details. Brick and Stone has a unique style that breathes life into the landscape and sends a special welcome, by dotting entries, patios, walkways, driveways and garden areas with color, bold textures and intrigue. Our "Award-winning" hardscape specialists at J.B. Brickworks will bring your vision of brick and stone to life. Contact us today, and let us create that special environment for you. Elemental Landscapes is known for our one of a kind custom designed outdoor living spaces, fiberglass pools, and poolscapes. We combine form and function to create visually pleasing, organic environments that blend with both your home and nature. Our design team responds to client needs and our crews are highly skilled professionals. We love what we do and it shows! 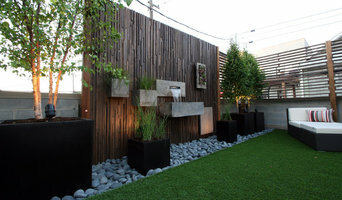 Poul's Landscaping & Nursery, Inc.
For 50 years, homeowners in Chicago's northwest and northshore communities have looked to Poul's Landscaping & Nursery, Inc. to create and maintain beautiful gardens and outdoor living spaces. Combining landscape architecture, horticultural expertise, and skilled field technicians, our goal is to be the single-source provider for all your landscaping needs. Whether you want to transform your backyard into an open-air dining room for family and friends to gather, or distinguish your home's character with unique plantings and an elegant entryway, Poul's designers can help with ways to make an unusable area into a space you relish, and achieve a balance between beauty and practicality. At Poul's, we create personal landscapes that connect you and your family with the elements of outdoor living you value and enjoy. Our ideas are the seeds. Your lifestyle, tastes, and activities are the sunlight that makes the idea-seeds sprout and grow. Poul's Landscaping is an award-winning design/build contractor serving the north and northwest suburbs of Chicago.